So what did readership look like for the whole year? I started blogging here in late 2011. Sometime in late 2012 is when WordPress started tracking unique visitors so far as the let us know. 2018 is looking a bit flat but, you know, it’s got some promise of something or other, I like to think. 12,214 pages viewed over the 2017, which is down from 2016’s 12,851. Not very much, though, especially for how much less stuff I published. It’s a bit higher than 2015’s 11,241. I’m not sure what to make of basically flat numbers of page views over three years. Mostly I suspect, deep down, that not being able to easily read the Jumble puzzles, and occasionally include them in Reading the Comics posts, has hurt my readership and my engagement. If you know a good source for them, please, let me know. The number of unique visitor has risen steadily, though. 2017 had the greatest number of distinct people stopping by, with 7,602 logged. In 2016 they were 7,168 in number, and in 2015 only 5,159. 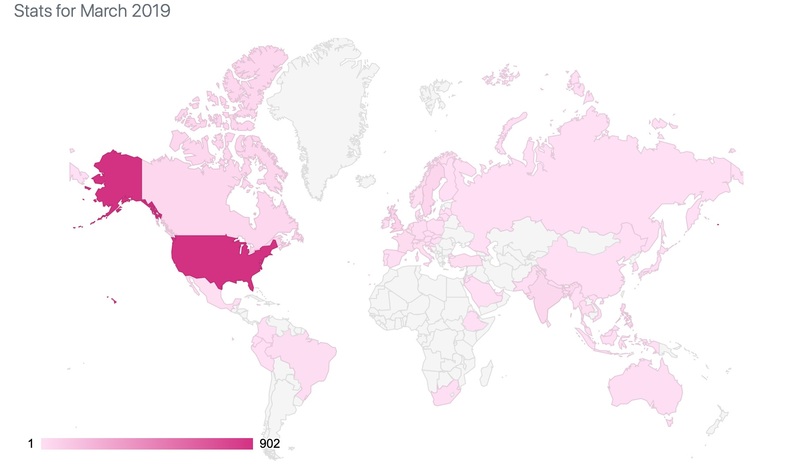 2014 saw 3,382; 2013, 2,905 unique visitors. That’s a pretty dramatic growth in unique visitors per published post, a statistic that WordPress doesn’t keep and that’s of significance only because I can keep dividing things until I find some sort of trend line. Still, 2013 through 2015 it’s an almost constant 27 unique visitors per post, and then in 2016 that rose to 33 and then to 46. The number of likes plummeted to 1,094. 2016 had seen 2,163, and 2015 — the first year I did an A to Z — some 3,273 things were liked. Comments similarly plummeted; there were 301 in 2017. 2016 saw 474, and 2015 some 822. I am not sure what I did right that first A to Z that I haven’t quite recaptured, or built upon. I understand being more read in countries where English is the primary language. Still seems like I had fewer readers from China than should’ve expected. I remember ages ago someone else (Elke Stangl?) mentioning a curious absence of readers from China and I’m curious whether others have observed this and, if so, what might be going on. On the insights page WordPress tells me I had a total of 441 comments and 1,043 likes, which does not match what the traffic page was telling me. I wonder if the discrepancy in comments is about whether to count links from one posting to another, which are regarded as comments on the linked page. No idea how to explain the discrepancy in likes, though. I am considering getting a proper, individual domain for my blog here. I confess I’ve never quite understood how being off on my own name would encourage more visitors than having a subdomain nestled under the wordpress.com label, but it seems to work for folks like Iva Sallay’s findthefactors.com. (Sallay also has two great hooks, between the puzzles and the lists of factors of whole numbers.) Maybe I just need to poke around it some more until the whole matter becomes irrelevant, and then I can act, wrongly. Before I even look at the statistics I can say: December 2017 treated my mathematics journal better than it treated me. 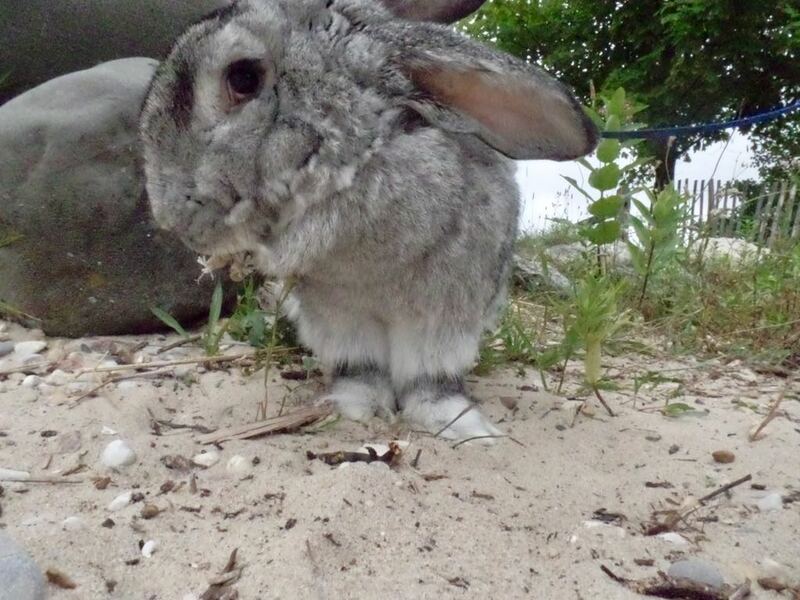 A third of the way in, our pet rabbit died, suddenly and unexpectedly. And this was days short of a year from our previous pet rabbit’s death. So that’s the cryptic plan-scrambling stuff I had been talking about, and why my writing productivity dropped. We don’t know when we’ll take in a new rabbit (or rabbits). Possibly this month, although not until late in January at soonest. And … well, thank you for the condolences that I honestly do not mean to troll for. I can’t say we’re used to the idea that we lost our rabbit so soon. It’s becoming a familiar thought is all. Don’t let the endearing cast of his eye fool you. Given the chance, he’d steal your heart. But to the blog contents. How did they, quantifiably, go? I fell back below a thousand page views. Just under 900, too: 899 page views over the month, from 599 unique visitors, as if both numbers were trying to tease Price Is Right Item-Up-For-Bids offerings. That’s down from the 1,052 page views in November, but only technically down from the 604 unique visitors then. October had 1,069 page views from a basically-equal 614 unique visitors. And it turns out that while I thought I stopped writing stuff, especially after our rabbit’s death, I had 11 posts in the month. That’s low but in the normal range for a month that has no A-to-Z sequence going. Curious. There were 71 pages liked around here in December. That’s technically up from November’s 70, but not really. It’s less technically up from October’s 64. Still makes me wonder what might have happened if I’d scraped together a 12th post for the month. And the other big measure of reader involvement? 24 comments posted in December, down from November’s 28 but above October’s 12. I may need to start offering bounties for interesting comments. Or, less ridiculously, start some open threads for people who want to recommend good blogs or books or Twitter threads they’ve found. 2018 starts with a total 56,318 page views from 26,491 tracked unique visitors. 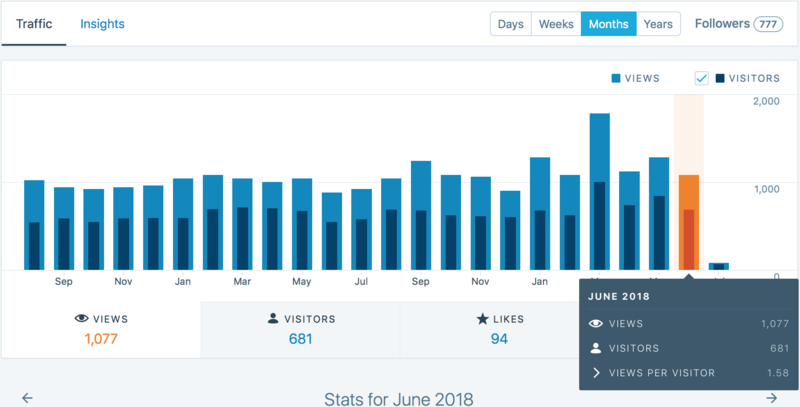 The numbers don’t look bad, although I keep running across those WordPress blogs that’s, like, someone who started posting an inspirational message once a week two months ago and has just broken a million page views and gets 242 likes on every post and wonder if it’s just me. It’s not. Lebanon, Mexico, Peru, and Romania were also single-reader countries on November, and there’s no nation that’s on a three-month single-reader streak. Have I got plans for January 2018? Yes, I have. Besides keeping on Reading the Comics, I hope to get through Wronski’s formula for π. I know there’s readers eager to find out what the punch line is. I know at least one has already worked it out and been surprised. And I’m hoping to work out a question about pinball tournaments that my love set me on. I’ve done a little thinking about the issue, and don’t believe the results, so I’m hoping to think some more and then make my computer do a bunch of simulations. Could be fun. And I’ll be spending it hoping that you, the reader, are around. If you’re here now there’s a good chance you’re reading this. If you’d like to follow on your WordPress reader, there’s a ‘Follow on WordPress’ button in the upper right corner of the page. If you’d rather get it by e-mail, before I’ve made corrections to things that are only obviously wrong two minutes after publication, there’s the ‘Follow by e-mail’ button near that. And if you’d like to follow me on Twitter, try @Nebusj. I’m currently running only like four weeks behind on responding to follow-up tweets or direct messages, which is practically living a year in the future compared to my e-mail. Thanks for being here. I was barely done sulking about the drop in readership on my humor blog when I started preparing the mathematics-blog readership report. And readership did drop from October (and September). Not by much, though. There were 1,052 pages viewed here in November 2017, barely less than October’s 1,069. It’s a fair bit under September’s 1,232, but that’s to be expected when I don’t have a strong gimmick going on like an A To Z project. The number of unique visitors dropped, down to 604 from October’s 614, again a trivial difference. September had seen 672 visitors and that’s a more noticeable drop. Still not much, considering. The number of likes rose a bit, up to 70 from October’s 64. Still down from September’s 98. And all that still way down from, like, a year ago. I don’t know if it’s my shuffling off into irrelevance or if there’s something making likes less of a thing lately. I’d be curious other bloggers’ experience. I’d started December with 55,419 page views from an estimated 25,617 known unique visitors, although some of them I only know apart because of their nametags. Japan’s the only country to have sent me a single reader last month too, and no countries have sent me single readers more than two months in a row currently. Also, clearly, I need to think of more simple mathematically-answerable questions that everybody wonders since that record-side question is always popular. And when that is less popular, the question about how many kinds of trapezoid there are turns up. Anyway, should you have read this and decided you want to be among my hundreds of WordPress followers who somehow don’t show up on the readership statistics, please, do so. There should be a ‘Follow on WordPress’ button in the upper right corner of the page. There’s also a ‘Follow by e-mail’ if you want things sent to an already-overfull box of things you haven’t time to read. Thank you.